When a US Airways plane landed in the Hudson River on a freezing January day in 2009, some of the earliest photos came from users posting to Twitter and Flickr. 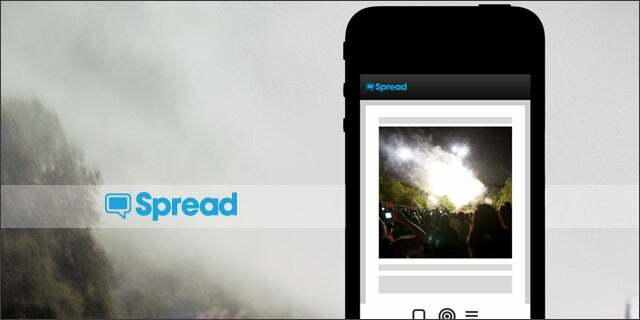 Now, a new app called Spread is helping more user-generated photos make the news. Spread lets amateur and professional photographers submit their work for news organizations to buy. They can also browse requests from media for particular stock or news-related photos. Competing with traditional photo providers like Getty and Reuters, Spread aims to democratize photojournalism and make the submission process quick and easy on their iPhone app. Photographers earn 50% on the first sale of an image, then 10% thereafter. “We want to ensure the photographer is getting their fair share,” says cofounder Amin Torres. Torres should be familiar with unfair prices; he’s a photoblogger himself who has managed to contribute – often for free – to a variety of news websites. One of his images made it into the New York Times featuring the Hudson plane crash. Spread has two advisers, photojournalists (and Torres’s close friends) Jacob Silberberg and Jez Coulson. They have experience covering everything from conflicts in Iraq and Nigeria to the fall of the Berlin wall to the BP oil spill. Spread has been bootstrapped so far, with Torres working on the app on nights and weekends along with technical cofounder Korbin Hoffman. The challenge may be convincing cash-strapped news outlets to pay, when they already grab free photos from Flickr and encourage submissions through their own sites. To get into Spread’s beta immediately, the first 200 Tech Cocktail readers can use this link.